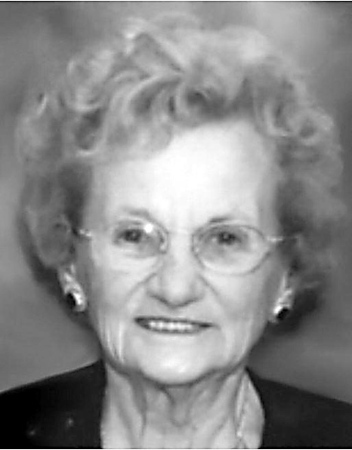 Margaret M. (Gyurco) Mazzali, 91, of East Berlin, died peacefully at her home on Saturday, Feb. 2, 2019. She was the loving and devoted wife of the late William J. Mazzali for 69 years. Throughout her life, Margaret’s first priority was her family. She reveled in celebrating family events and enjoyed visits and spending time with those she loved so dearly. A beautiful woman inside and out, she will be deeply missed by all who were blessed to have had her in their lives. She is survived by her children, Marilyn Schule and husband, Robert, William Mazzali and partner, Garfield Moore, John Mazzali and wife, Judy, and Jean Murphy and husband, Brett; her adored grandchildren, Lisa and wife, Julie, Amy and wife, Kacie, Matthew and wife, Caitlyn, Michelle and husband, Sebby, Meagan, Taylor, Nicholas, and Carolyn; her cherished great-grandchildren, Mariel, Nico, Maddox, Jacob, Olivia, Logan, and Lucas; her former daughters-in-law, Misi and Carol, as well as several nieces and nephews. In addition to her husband, Margaret was predeceased by her beloved son, Bobby. All services are private and under the care of the Duksa Family Funeral Homes at Burritt Hill, 332 Burritt St., New Britain. To share a message of sympathy with her family, visit www.duksa.net . Posted in New Britain Herald, on Tuesday, 5 February 2019 19:22. Updated: Tuesday, 5 February 2019 19:25.